This is a wireless charging that enables you to charge your phone at your own comfort. 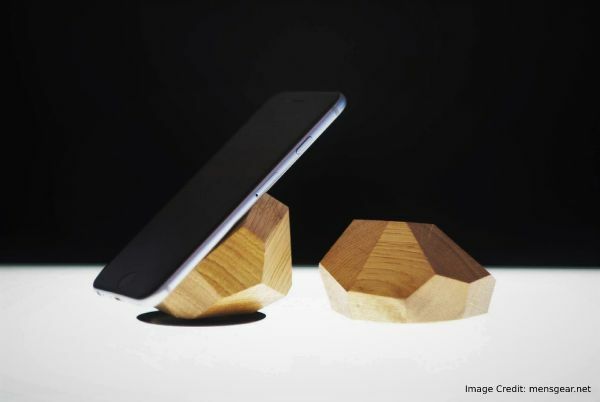 It is a solid wood that has been created to help you multitask while your phone is charging. It allows you to call, receive a call text, browse and perform other tasks without having to worry of any risk. It is a product that has been handmade to fit your specifications. It is light, and you can use the wireless on to receive or make calls even when it is charging. It is a multitasking stand for your phone that is called Halo. It is known to be aesthetically pleasing as well as functional. This product is easy to use, and it functions well for you to charge your phone well. You can carry it to any place that you go to give you the service that you want. You can choose to place it on your desk at the workplace or home as this is the place where it is easily visible. It is a product that is sold through online, and it is priced at $49, and its wireless version is known to cost $24. 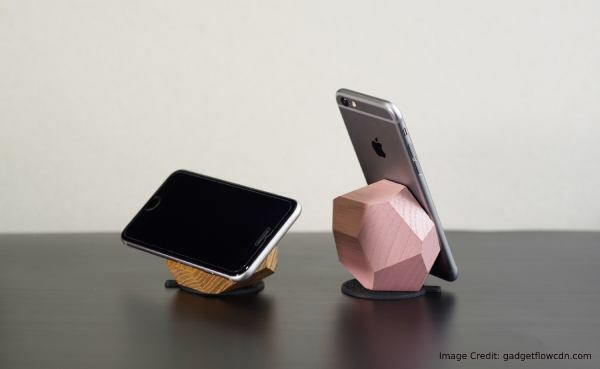 Quality Wood – This block charger has been handmade from a quality wood that will ensure that you have the value of your money. The material will also help protect your phone from being damaged. It is meant to give you service for a longer period of time. Fit your Phone – It has been made in such a way that it fits well your phone so that you can make calls without having to worry that it will slide and fall. Lightweight – It is a lightweight wooden block that ensures that you can easily carry it for your own use. It is also meant to reduce phone bulk. Handmade – It is a product that has been handmade to ensure that you get what you want. It is created according to your specifications. The wireless version allows you to charge your phone conveniently without having to plug it in. It is a product that has been created using the durable material to last longer and give your service when you need it. It is a product that is known to be easy to carry around, and it also allows you to make calls or receive calls easily. The material protects your phone from being damaged, and therefore, it keeps it safe. It is a block charger that is well integrated. It is a product that helps you to charge your smartphones. It is a product that is affordable to many people. There are reduced costs that are associated to the maintenance of this wooden charger. It is a safe way of charging your phone as wood cannot allow current to pass through it. Therefore, it reduces the risk of electric shock. It is meant to prevent corrosion that is mostly caused by water and oxygen. It is a product that is environmental friendly as it can be disposed of safely when it breaks. It cannot lead to hazard toxins. It is capable of allowing you to multitask while the phone is charging. It places your phone where it is visible. Some of the wooden block chargers cannot charge more than one phone. Therefore, it is not compatible as the phone cannot draw in power from the charger. There are some of the wooden chargers which do not perform efficiently as the traditional phone chargers. This is evidence by slow charging process taking much of your time. 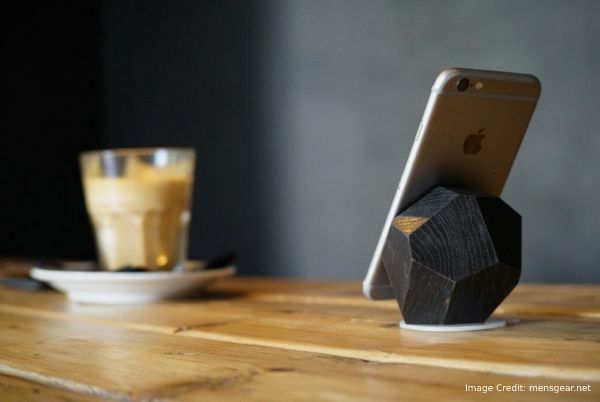 This wooden block charger is meant to help you charge your phone with or without plucking it in. It has been created using quality and durable material that gives you value for your money. It helps in preventing your phone from being damaged as this wooden charger cannot be affected by oxygen and water. It is a product that is lightweight to help you carry it to any place that you go and give you the service that you need. It is well known to allow you to multitask as you can make calls, receive calls and browse among others.